Denmark - Marine Key. Made by Amplidan Copenhage. Great Northen Telegraph Works. Copenhagen-Denmarks. This model was also made for the marine. Denmark - G.N.T. 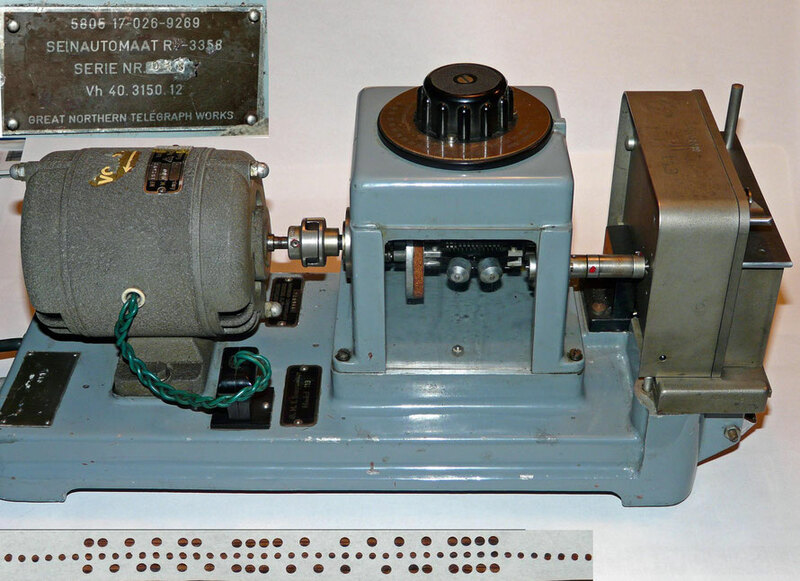 Morse inker Model 1515. Made by The Great Northern Telegraph Company (limited). 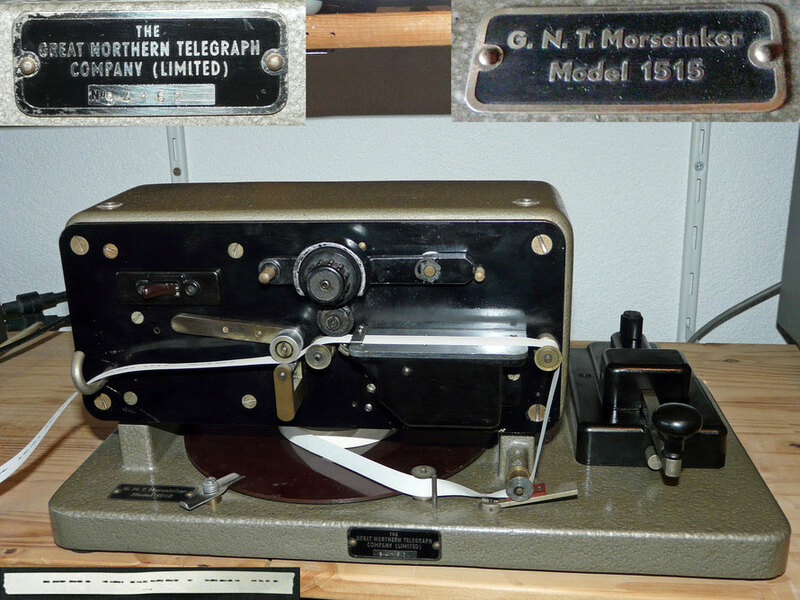 Was used by The Royal Dutch Navy Signal School to check the quality of the Morse code that was transmitted by the operetor. Denmark - G.N.T. 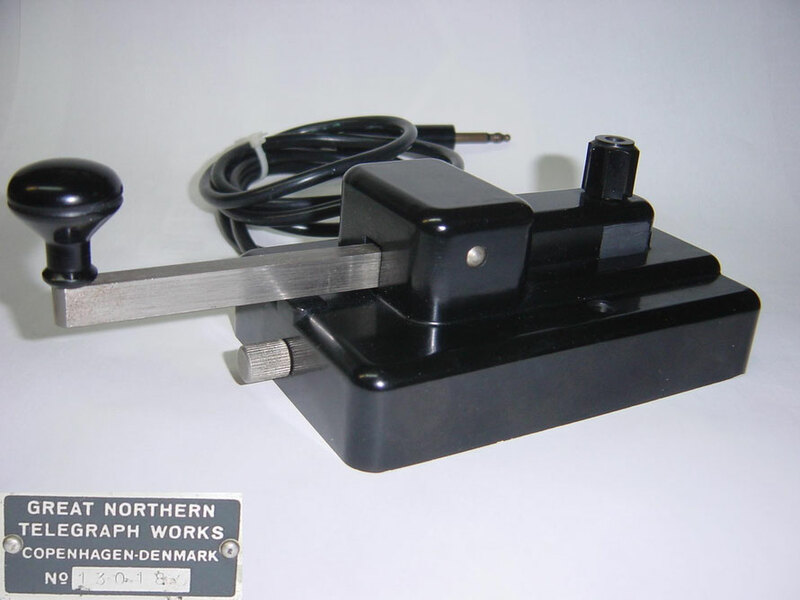 Morse inker Model 1532. Bandopnemer Telegrafie Seinen. RD-3361. Made by The Great Northern Telegraph Works. In working order. Denmark - G.N.T. 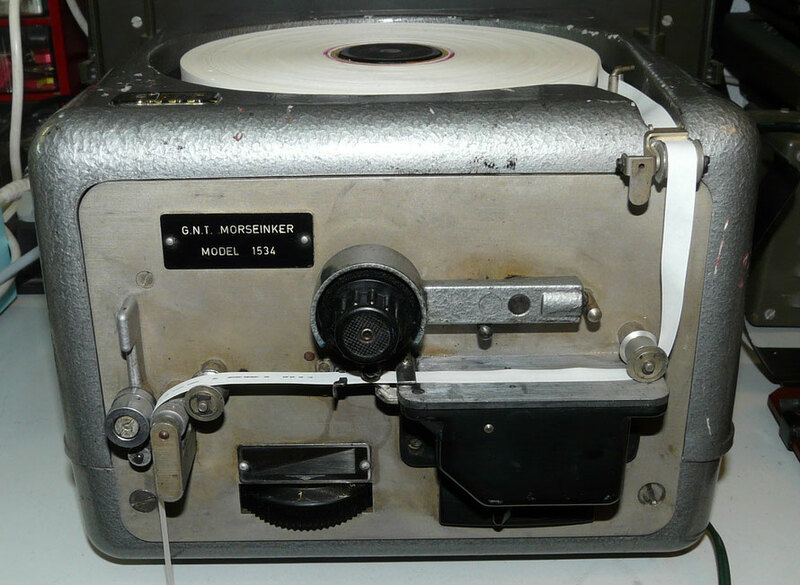 Morse inker Model 1534. Bandopnemer Telegrafie Seinen. Denmark - G.N.T. Seinautomaat. Wheatstone-code. Transmitter. 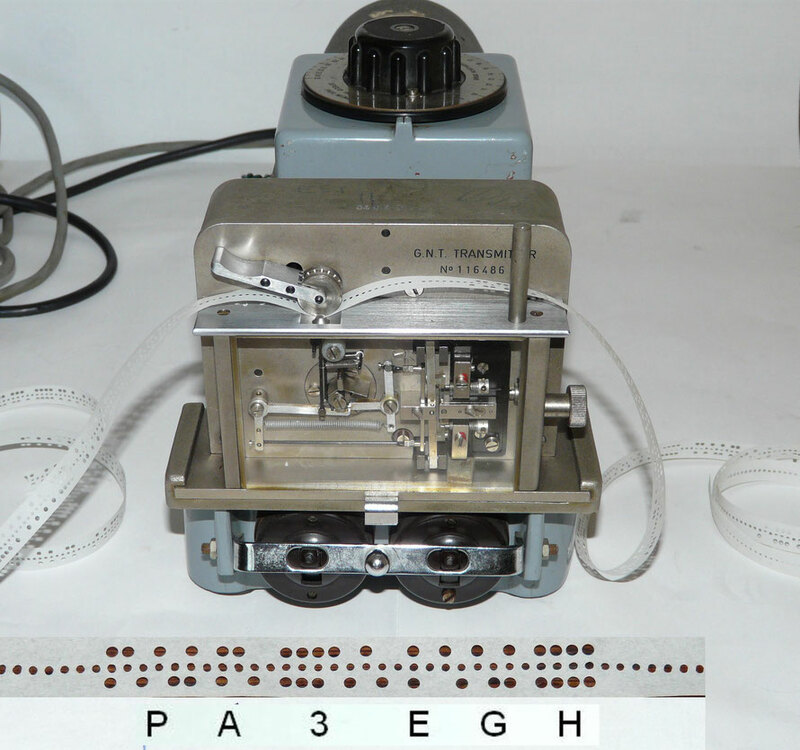 Automatic Tape Reader - reads the punched tape to feed the Transmitter. Made by Great Northern Telegraph Works. Denmark - G.N.T. Transmitter. Seinautomaat. Wheatstone-code.